You'll be £30.00 closer to your next £10.00 credit when you purchase The Royal Navy at Dunkirk. What's this? The fact that the British Expeditionary Force was evacuated from Dunkirk in May-June 1940 has achieved the status of a legend. Whilst the part played by the 'Little Ship's in that miracle is equally well-known, the role of the Royal Navy's warships – the destroyers, minesweepers and personnel ships – is often overlooked. Indeed, more than 300,000 troops out of a total of 338,226, were evacuated from the harbour at Dunkirk in these vessels. Described in their own words, with the events still fresh in their minds, the result is a vivid record of the chaos, improvisation, skill and bravery that all combined to rescue the basis of an army that helped carry Britain through the dark months and years that followed. It is a record that forms the basis of this book. The very word ‘Dunkirk’ has become synonymous with the withdrawal of British troops from its beaches in May-June 1940. But whenever people think about that amazing evacuation from under the very noses of the enemy, they always think of that outstanding fleet of small boats and ships which made it possible. Often overlooked are the warships of the Royal Navy which, in addition to rescuing their own fair share of soldiers, also provided sterling support and anti-aircraft cover throughout. Just as soon as this ‘Operation Dynamo’ was completed, the Admiralty required all ships’ captains plus other shore-based personnel to provide a written report detailing their specific actions. Whereas this work provides the reader with a cross-section of those accounts, experienced historian Martin Mace has gone further by skilfully selecting each personal story in order to really grab your interest. And very personal they are too - like Seaman Bond who answered the call to jump in and help a wounded man - even though he couldn’t swim. These are not, therefore, accounts written long after the passage of time has either exaggerated or diminished the horrors of the moment. Instead they are a collection of recently written reports of what ‘my’ ship and my men did as we played our part in such a massive undertaking. In short, This work is a job well done by both author and publisher and one which the reader will find hard to put down until finished. The evacuation of the British Expeditionary Force (BEF) and other allied troops has often been called the “miracle of Dunkirk”. This book, drawing on the Reports of Proceedings (ROP) from RN ships (both HM ships and requisitioned vessels) involved, paints a slightly different picture. What comes through all the reports is constant strain that ships’ companies were under, the incredible level of initiative and bravery shown to bring the BEF home, coupled with the dogged spirit of the troops themselves. The story is not complete without accounts from the shore naval personnel who were so vital to the successful embarkation, and Rear Admiral Wake-Walker’s ROP written in 1941 is astonishing for its clarity and insight into the evacuation. Anyone who thinks ROPs are dry and dull will be disappointed by this book. It is a collection of narratives of extraordinary courage and resilience from naval personnel of all ranks. It is best summed up by the Rear Admiral in charge of maintenance “No one can say again that ..the young men or the older ones lack initiative, common sense and resourcefulness”. He quotes a Sub Lt who took lighters into the beach “exposed to bombing, shell and machine gun fire” who having praised his civilian volunteers said the Naval members of his crew acted as expected” This is a humbling book to read and yet an uplifting book. I cannot recommend it highly enough. The title says it all. The Commanding Officers of the Royal Navy warships deployed to Operation Dynamo, plus shore based personnel, were required to submit reports regarding their ship’s actions during this operation. These were deposited in due course with the National Archives, and have now been collated to form this excellent book. These range from the report of Rear Admiral WAKE-WALKER, who commanded the operation as Senior Naval Officer Afloat, to Master W. J. PENNEY who commanded H.M. Tug, St. Clear. They were written soon after the event, often based on contemporaneous notes. 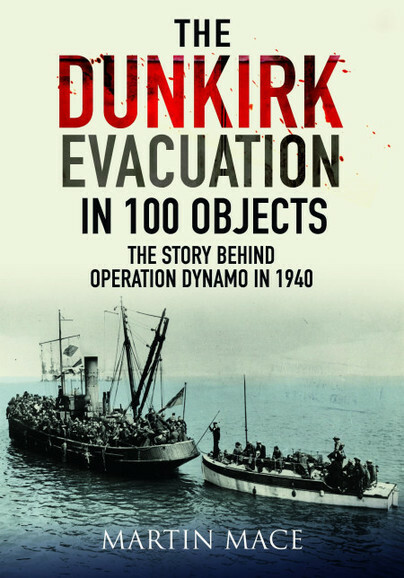 They contain a treasure trove of information about the reality of the evacuation of British and French troops from Dunkirk, before it became idolised in British mythology. Reading the reports left me feeling very humble, and much better informed about Operation Dynamo. 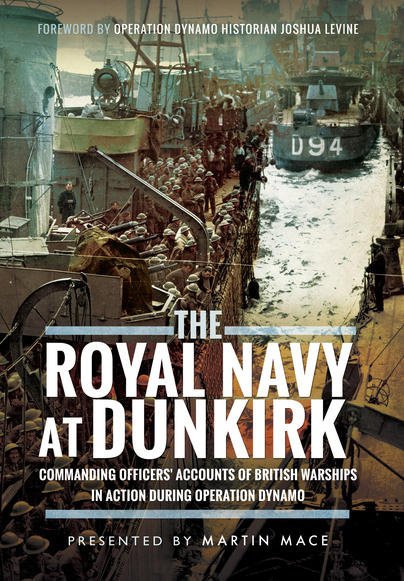 There are six chapters, commencing with the Royal Navy destroyers that carried out the bulk of the evacuations, to other Royal Navy Warships, Auxiliary Minesweepers, Personnel Vessels, and Dutch Schuits, Trawlers and Coastal Craft. Importantly, the sixth chapter covers the shore based personnel, including Captain Bill TENNANT. There are sixteen photographs included, but to me, they are not the reason for purchasing this book. This has to be the contents of the reports themselves, written by a variety of men, from differing perspectives. In my opinion, this is an invaluable piece of work on the subject of Operation Dynamo, and I heartily recommend it.